Showing 38 articles from December 11, 2013. BOXED. 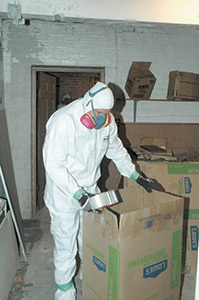 A Builder Services worker preps boxes. LOUISBURG — For decades, at least, records dating back hundreds of years had been stored in less than ideal circumstances in the county courthouse basement. But four months after the Heritage Society of Franklin County procured a place to store the documents and formulated a plan to preserve them, county management had the records burned at its animal shelter. LOUISBURG — Four years after the estate of a Louisburg philanthropist gave the county about a million dollars and a request to build a park with a pond, Franklin County is no closer to breaking ground on a new recreation site for its citizens. In January of 2010, Edgar Owens left the county 80 percent of his estate — $963,000 — and asked that they build a park with a fishing pond, naming it after his parents, V.E. and Lydia H. Owens. 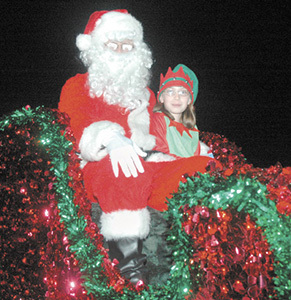 Left, Santa, with a special elf, Jenna Andrews, gets ready for Franklinton’s Christmas parade, which was held the evening of Dec. 5. 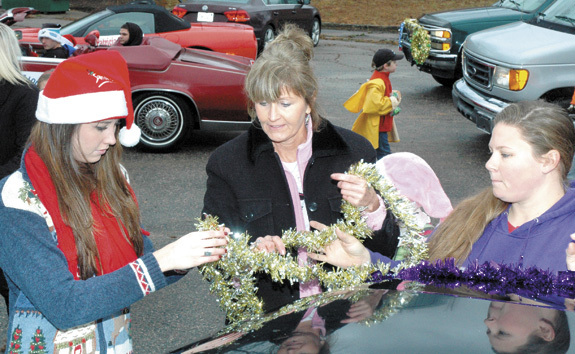 It is the county’s only night-time parade. OXFORD — The region’s top prosecutor announced he won’t seek re-election. Instead, District Attorney Sam Currin is supporting an assistant, Cindy Bostic, in her bid to win the office at the end of Currin’s term in 2014. Currin has been in the office, as an assistant since 1979, and as the top prosecutor since being appointed in 2001 to serve as the district attorney for the 9th District, which covers Franklin, Granville, Vance and Warren counties. A story in the Dec. 5 edition incorrectly referenced Superior Court Judge Robert Hobgood’s prior military experience. He was a battery commander in the National Guard. The Franklin Times regrets the error. In a partial answer to a question posed in a Page 1 story in last week’s edition, don’t pay too much attention to the state’s ranking of Franklin County as either Tier 3 to Tier 2. The state uses a poorly designed ranking system that doesn’t measure what it professes to accurately — but some of the data used is worth pondering seriously. Why did county resort to weekend ambush? It’s been awhile, but Franklin County government still knows how to pull off a Friday afternoon ambush — and irritate people in the process. In the past, it’s been common for our county government to announce something controversial about 4 p.m. on Friday, missing the normal weekend news “cycle” and after a lot of folks have already headed home for the weekend. To be quite honest, there are parts of the job that can drive you to drink. Long hours. Long meetings. Dealing with people who want to avoid the press like the plague. Yeah, all of those things can lead you to evaluate things over a pint. What led me to drink on Tuesday night, again, was work. 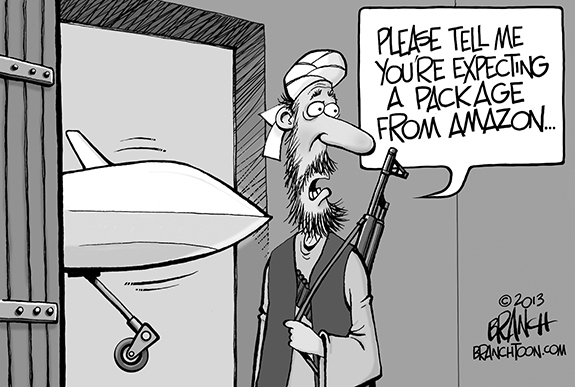 But, it was a good thing. Last Saturday was the 72nd anniversary of the attack on Pearl Harbor. December 7, 1941 and June 6, 1944 are the two dates I always remember when thinking of World War II. The impending collapse of the Volunteers in Medicine Clinic in Louisburg is a condition, in my opinion, in part brought about by mismanagement and a clash of egos. I was contacted and told there are over 3,000 of our neighbors, that absent this clinic, will have no access to basic health care. Before I address the subject matter of my letter, I want to clarify a few things. I am not a Democrat. I am not a Republican. 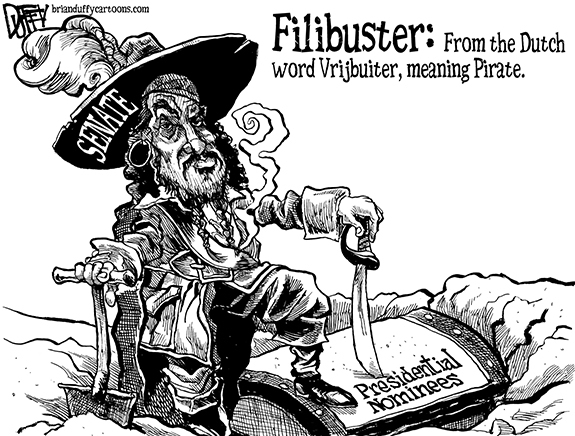 I am not a Tea Partier or Patriot. I am a God-fearing Christian woman who loves the Lord Jesus Christ and the United States of America with all my heart and soul. WOOD - Allie-Bell Williams, 94, formerly of Wood, North Carolina, passed away peacefully on Sunday, December 8, 2013. LOUISBURG - Dottie Jane Green Wrenn, 81, of Louisburg, passed away peacefully into the loving arms of her Lord and Savior on Wednesday, December 11, 2013 after several months of declining health. She was constantly surrounded by her family and loved ones. 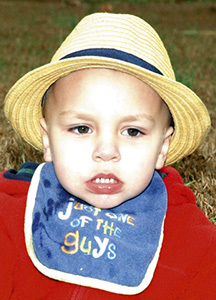 LOUISBURG - Elmo Burrows May of Louisburg died Thursday, December 10, 2013 at home surrounded by his loving family. WAKE FOREST - Phyllis Annette Black, 54, died on Sunday, Dec. 8, 2013, at her residence. She was born in Buffalo, N.Y. to Dorothy Walker Black and the late James O. Black. SCOUTING THE EAGLES. 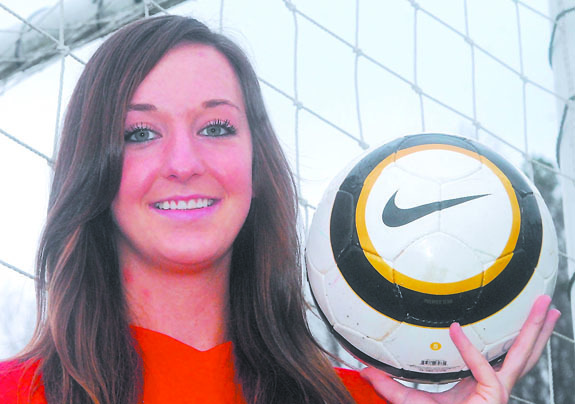 Louisburg College women’s soccer standout Jessie Scales has accepted a scholarship to join the program at Division I Georgia Southern University. The high-scoring Scales will officially sign with the Eagles in February. LOUISBURG -- You would have to go back to the early 2000s and the Venice Williams Era to find a player who joined the Louisburg College women’s soccer program with such a lofty pedigree as an offensive force than Jessie Scales. Williams didn’t disappoint during her two-year career at LC, and Scales certainly didn’t either. When her time at Louisburg was complete, Williams went on to be a standout at the University of South Carolina-Upstate. ESCAPE CLAUSE. 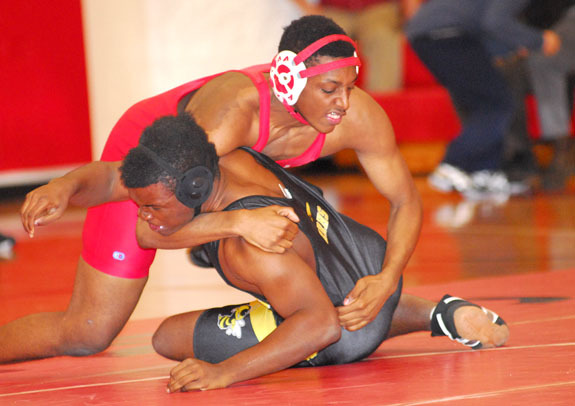 Franklinton High School’s Dominick Cotton (foreground) tries to get out of a hold during his team’s home wrestling match Tuesday night against Northern Carolina Conference rival Roanoke Rapids. FRANKLINTON - Each of the varsity teams at Franklinton and Bunn, regardless of the sport, entered the Great Unknown this season in the newfangled Northern Carolina Conference. It’s taken awhile for some of the clubs to see exactly where they stand against some of the newer schools in the league. 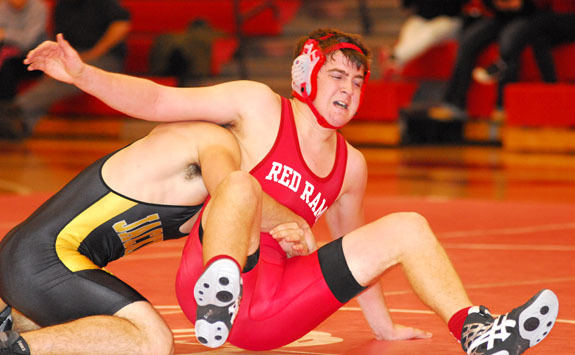 But a familiar foe awaited Franklinton during its second NCC wrestling matchup of the campaign on Tuesday night. 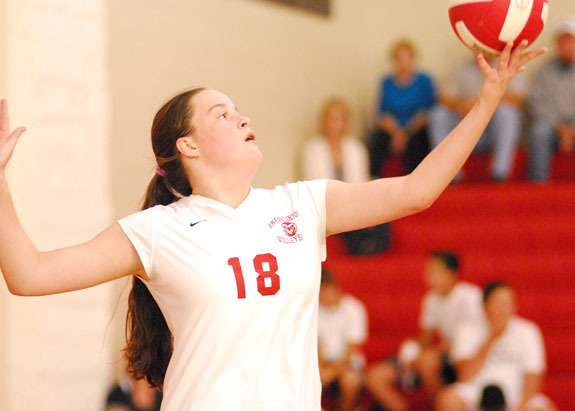 FRANKLIN COUNTY -- Bunn and Franklinton have been dominant forces in the Northern Carolina Conference volleyball scene over the past several campaigns -- but the Franklin County squads had to take a league backseat this year to newcomer and perennial powerhouse South Granville. The Lady Vikings won the NCC regular season and tournament crowns en route to reaching the Final Four of the Class 2-A State Playoffs. GREAT CAREER. 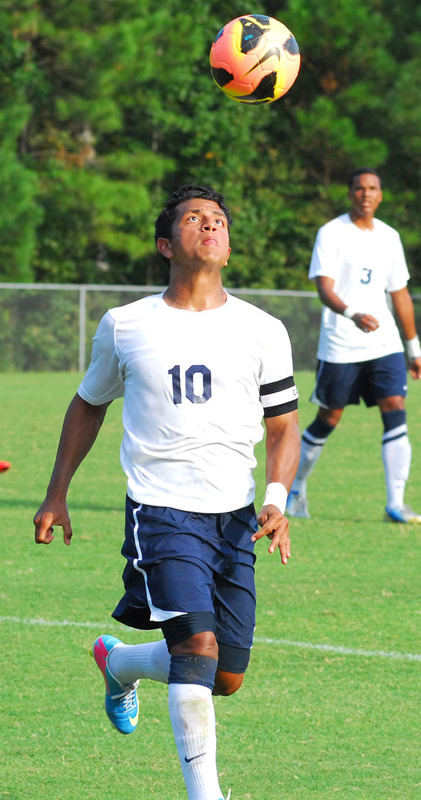 Eduardo Alvarez wrapped up two outstanding seasons at Louisburg College by earning a spot on the All-Region X Men’s Soccer Team. LOUISBURG -- Albeit in different generations, Andy Stokes and Sammy Rowland grew up near each other in Greater London, England. Almost 4,000 miles from home, Stokes and Rowland have teamed up to continue the recent successful tradition built by the Louisburg College women’s soccer program. NORFOLK, VA. -- The Louisburg College Hurricanes men’s basketball team defeated Tidewater CC for the second time during the week as the Canes took to the road and defeated the Storm 88-68 last Saturday afternoon in the Hampton Roads Area of Virginia. The two teams played to a close first half with LC going into the locker room at the break with a slim 42-40 lead. Bunn at South Granville 6 p.m.
Warren County at Franklinton 6 p.m.
LOUISBURG -- Three players reached double figures in scoring as Franklinton secured a 74-55 road victory over Louisburg last Friday in a boys basketball game that was played at Taylor Center on the campus of Louisburg College. Franklinton, which led by 10 points at halftime, received 30 points from its bench to improve to 4-2 overall. Daquan Neal paced FHS with 19 points, followed by Fred Harlan (16) and Malik Sanders (10). LOUISBURG -- Louisburg College and the Department of Athletics announced that the school will be adding a pair of sports for the 2014-15 academic year as both men’s and women’s cross country will join a department that already boasts nine intercollegiate sports teams. Jay Koloseus has been tabbed as the head coach of both teams as LC director of athletics Mike Holloman announced that Koloseus accepted the position. WAKE FOREST -- Former Bunn High School Athletic Director and assistant football coach Hancel Phipps will be on the state’s biggest gridiron stage this weekend as a member of the Wake Forest HS coaching staff. Phipps and the Cougars will play Mallard Creek from Charlotte in the Class 4-AA State Championship Game. The contest will be played Saturday at 7 p.m. at Carter-Finley Stadium in Raleigh. Tickets will be available at the gate. LOUISBURG -- A new league awaits Louisburg High School as the Warriors have started their second varsity swimming season. After spending last year in the Class 2-A Northern Carolina Conference, the Warriors will now be on the 1-A level in a league that will also feature Neuse Charter, Franklin Academy, Voyager Academy and Raleigh Charter. Franklinton’s Avery Wilder tries to get out of a hold on Tuesday night against Roanoke Rapids. Franklinton High School’s Lincoln Lyons (top) gets ready to earn a pinfall as part of his team’s home wrestling match versus Roanoke Rapids. County Lines, edited and compiled by the Franklin County Arts Council Writers Guild, is a collection of poetry, prose and art whose purpose is twofold: One, to bring the literary arts to the people of our rural and urban neighborhoods and everywhere in between. The other is to give local writers and artists the opportunity to make their voices heard. There is something included for every taste – funny, tragic, traditional, contemporary, beautiful and even ugly. The fourth quarter LEPC meeting will be held at the Franklin County Emergency Services building Thursday, Dec. 19, at 9 a.m.
LOUISBURG — A Spring Hope man who led officers on a two-county chase made his first appearance in court this week. But the case against Equan C. Dunston, 22, continues. 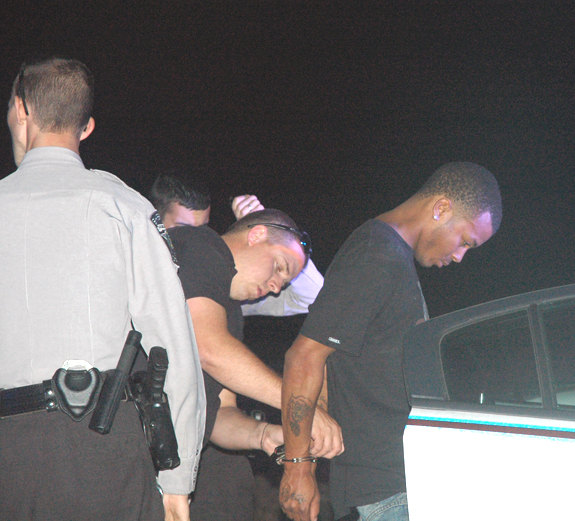 Dunston was arrested at about 6 p.m. on Dec. 5 after authorities allege he eluded a traffic stop in Spring Hope and led authorities on a chase through that town, into Franklin County, along Louisburg’s main thoroughfare at rush hour, and back into the county before officers were able to spin him out. FOLLOW THE LEADER. 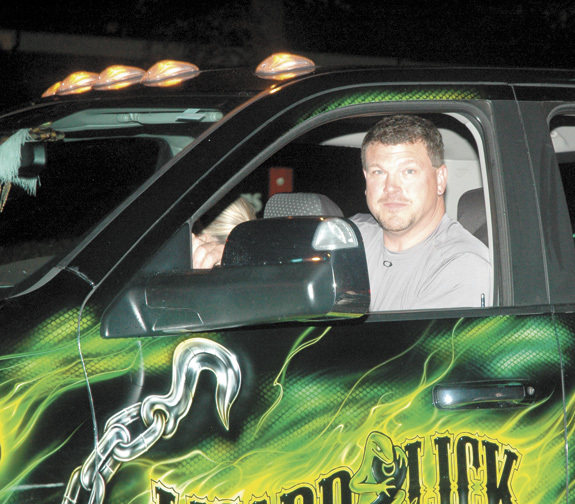 Lizard Lick’s Bobby Brantley was the grand marshall. FOLLOW THE LEADER. 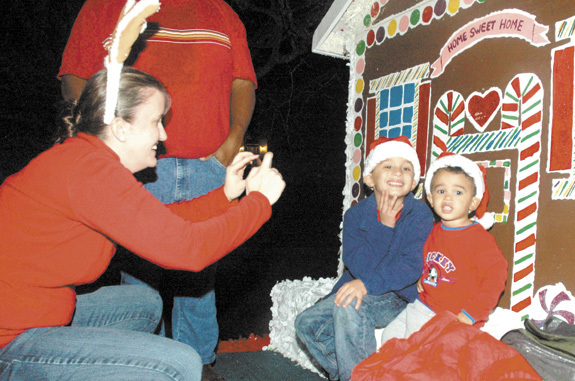 Laura Terry takes some pre-parade photos of Matthew and Dylan Terry. SPREADING CHEER. Above, Taylor Ritchie, Sheryl Ritchie and Alexis Brogden put the final touches on their parade entry float for Main Street Flooring.